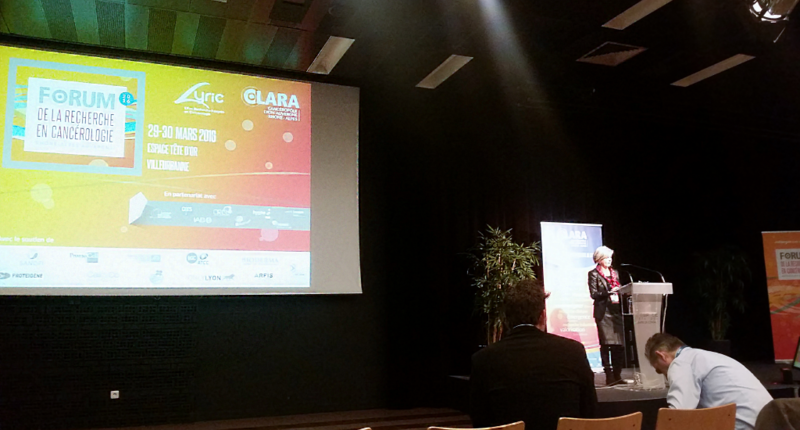 INOVOTION participated in the Forum on Oncology Research organized by the Lyric and the CLARA, March 29-30th, in Lyon. More than 550 participants including students, researchers, clinicians and industrial partners were present. This event was a fantastic opportunity to learn about new fields of research in oncology and stay up-to-date about the latest cutting-edge research and technology in oncology. One of our main priorities is to provide innovative solutions for our clients’ drug discovery efforts from in vivo therapeutic target identification to efficacy assays. The forum provided an opportunity to discuss in-depth with other researchers and company delegates about current and trigger new projects, to improve the quality of our offers. Feel free to contact us to improve your own drug discovery productivity!